In case you missed it; K.A. Robinson has a new book out! 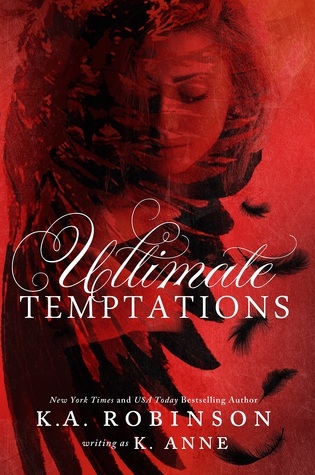 ULTIMATE TEMPTATIONS is a young adult novel, focusing on one girl's dealings with an angel and a demon. Enjoy the excerpt below. I watched as Asher hurried over to where I was standing. Cain rolled his eyes before joining the opposite team. I made room as Asher crowded between me and the boy standing next to me. “What are we playing?” he asked. “Seems simple enough,” he said. Mr. Reynolds blew the whistle, and everyone took off at a full sprint toward the balls—that is, everyone, except for Amanda and me. We were both smart enough to stay against the wall as balls started flying. Over half of both teams were hit within the first five minutes. After they were gone, things got harder for me. Without as many bodies to aim for, I soon became a target. I ducked and jumped out of the way as several students tossed balls at me. One hit right beside my head, and I winced. Whoever had thrown that one meant business. I looked up just in time to dodge another ball flying right at me. It hit the wall just as hard as the other one. I glanced at the opposing team and noticed Jenny glaring at me. Of course it had been her. She grabbed another ball and threw it. I dropped to the ground just in time. The next few minutes passed in a blur as I dodged ball after ball. Almost all of them were from Jenny. Finally, she managed to hit me. Luckily for me, it was in the chest instead of the face. I glared at her before walking toward the bleachers to sit down with Amanda. I winced as another ball hit me in the back. “Whoops. Sorry, Ella. 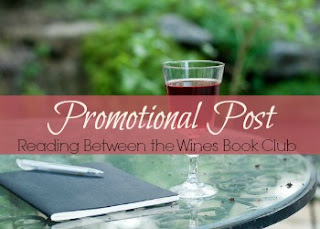 I didn’t realize you were already out!” Jenny shouted sweetly. “Skank,” I muttered under my breath as I sat down. Two seconds later, I heard Jenny shriek in protest. I looked up just in time to see a ball nailing her in the chest. She frowned across the room at Asher before walking to the bleachers. Asher shot me a smile before turning his attention back to the game. I couldn’t help but smile back. He’d seen what she did to me, and he’d gone after her. I was really starting to like Asher. For the rest of the game, my attention was split between Asher and Cain. I whistled under my breath as Cain nailed another guy hard enough to knock him down. The boy didn’t mess around. I counted my blessings that it was Jenny who’d hit me instead of him. Finally, it was just Asher and Cain still standing. I looked back and forth between the brothers. They both openly glared at each other. “This should be entertaining,” Amanda said from beside me. “My money’s on Asher,” I muttered. From across the room, Asher turned and grinned at me like he’d heard what I just said. I rolled my eyes at myself. That’s ridiculous. He was twenty feet away from me in a roomful of noisy seniors, and I hadn’t spoken very loud. “Quit standing there, looking at each other, and throw the balls!” Mr. Reynolds shouted at the brothers. Cain’s glare disappeared, and his trademark smirk returned. He grabbed a ball off the floor and threw it in Asher’s direction. Asher jumped out of the way just in time and grabbed a ball of his own. He threw it at Cain, and I tensed as it bounced off the wall. He’d thrown it with a lot more force than necessary. “Come on, brother. That all you got?” Cain taunted as he tossed a ball at Asher. Both boys were throwing their balls without holding back in the slightest. The class went silent as we watched the epic dodgeball battle in front of us. My mouth dropped open when Cain did a flip in midair to avoid Asher’s ball. As soon as his feet touched the ground, he tossed a ball at Asher. It missed by inches and hit the wall next to the mats. I was only a few feet away, and my eyes widened in disbelief when I noticed the indent in the wall. There was no way he could have thrown the ball hard enough to dent the wall. I was pretty sure the walls were made of concrete. Cain growled in frustration when he saw that the ball had missed. Asher smirked as he picked up two balls at once. I watched in awe as he launched both of them at Cain. Cain dodged the first one, but the second made contact. It hit his lower stomach with enough force that he flew backward several feet. Damn. That’s going to leave one heck of a bruise. “Now, that’s how you play dodgeball!” Mr. Reynolds shouted. Cain stood back up. Neither brother paid any attention to the teacher. Both were locked in a glaring contest.